On August 20th Afghanistan will hold a general election that is deemed virtually certain to return Hamid Karzai and his cronies to power. At best, the opposition is hoping to win enough votes to force a run-off vote, but that seems unlikely. It will be a hollow victory. Over the past five years, the Karzai government has squandered the goodwill it originally had – and is now widely seen among Afghans as being corrupt, inefficient, beholden to foreigners, warlords and the drug trade, and to be losing its war with the Taliban. It is against this backdrop that the Key government has signaled its intention to put our combat troops back into the fray. In a couple of weeks, Cabinet is expected to respond positively to the US request for our special forces that was conveyed a few months ago by US Secretary of State Hillary Clinton to Foreign Minister Murray McCully. This decision will entail re-deploying SAS units – presumably to the hot spots in the south of the country, and along the border with Pakistan. It will also entail winding down our successful aid and reconstruction work in the province of Bamiyan. The wisdom of choosing to put our troops into this combat zone – in a war that many claim has already been lost – is obviously open to question. A few months ago, Prime Minister John Key was indicating that he would need to see a workable policy with a clear exit strategy, before re-deploying our combat forces. Obviously, that is no longer the case. Key is now offering the vague goal of ‘combating global terrorism” as his rationale. At the very least, New Zealand needs to know far more about the country whose destiny we will now be fighting – and in some cases, dying – to determine. To that end, Werewolf contacted US Afghan expert and leading military adviser on Afghanistan, Thomas Johnson. Our research provides comprehensive assessments of provincial and district tribal and clan networks in Afghanistan, anthropological assessments of Afghan villages, and assessments of the operational culture of Afghan districts and villages. The U.S. engagement in Afghanistan is foundering because of the endemic failure to engage and protect rural villages, and to immunize them against insurgency. Many analysts have called for more troops inside the country, and for more effort to eliminate Taliban sanctuaries outside it, in neighboring Pakistan. Both developments would be welcome. Yet neither would solve the central problem of our involvement: the paradigm that has formed the backbone of the international effort since 2003—extending the reach of the central government—is in fact precisely the wrong strategy…..
To reverse its fortunes in Afghanistan, the U.S. needs to fundamentally reconfigure its operations, creating small development and security teams posted at new compounds in every district in the south and east of the country…. Deploying relatively small units in numerous forward positions would undoubtedly put more troops in harm’s way. But the Taliban have not demonstrated the ability to overrun international elements of this size, and the teams could be mutually reinforcing. (Air support would be critical.) Ultimately, we have to accept a certain amount of risk; you can’t beat a rural insurgency without a rural security presence. What Johnson is suggesting sounds a lot more like the current New Zealand presence in Bamiyan than it resembles the plan to send SAS special forces to Afghanistan. 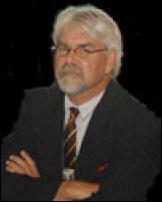 Werewolf editor Gordon Campbell contacted Professor Johnson at the US Naval Postgraduate School and carried out an email interview about the strategic challenges currently facing the US/ISAF effort in Afghanistan. 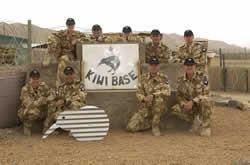 Campbell: The NZ government has signalled its desire to bring to an end our Provincial Reconstruction Team activities in Bamiyan, and to focus New Zealand’s contribution on a re- deployment (the first since 2006) of our special forces SAS contingent. Does this strike you as being a sensible switch of emphasis ? Johnson: I think this is the very time that we need more PRTs – but at the district level. On the surface, the decision to disengage the PRT for an SAS deployment seems to me to be a poor strategic choice. We need population -centric strategies that separate the people for the insurgents and make the insurgents irrelevant. We need to improve the lives of the people. PRTs can do this. I am not sure the SAS can. Now, I realize that security is the number one need. But to deploy the SAS at the expense of a PRT seems to me to be a strange choice. I would like to know the specifics as to how the SAS will be used. Campbell: In your view, is a power sharing agreement* with the Taliban a realistic political goal of the US/ISAF military effort in Afghanistan ? Johnson: The conflict in Afghanistan can be viewed as an insurgency wrapped in the narrative of a jihad. The leaders of this rural conservative religious insurgency are, for the most part, committed Afghan religious figures. Consider for example the fact that virtually all Taliban leaders, from the senior regional leadership down to the sub-commanders at the district level, are mullahs. The reason I mention this is that – as committed jihadists – they are not interested in sharing power. They are the definition of the “true believer” and their beliefs will not be compromised in a negotiated government settlement. A key dynamic that I have witnessed through my interviews of Taliban is their absolute belief that they will eventually succeed — time is on their side, according to their perspective. It might take years, but in their minds, they will succeed. I suspect that such positions – in conjunction with the fact that the conflict is basically a jihad – precludes any meaningful negotiations, especially now that they consider themselves on the verge of victory. I would like to see the name of one important Taliban leader who is pushing for negotiations. There are none! “An ongoing dialogue with the Taliban should be part of our counterinsurgency strategy, but such a venture is marred in danger. Since 2006, various ISAF partners have pursued a dialogue with regional Taliban figures as well as Saudi Arabia and Pakistan. None of these efforts have borne fruit. It’s been difficult to identify who can, in fact, speak for the Taliban insurgent leadership. While these talks proceeded, the insurgency has became more violent and casualty rates have soared for the ISAF. Not everyone believes in dialogue. The outside powers such as ISAF members UK, Italy, France and Norway like the idea. Regional powers such as Iran, India and Russia oppose it. Those that support dialogue and negotiations believe that talks can split the insurgency between “moderates” and the extremist global jihadists. I am frankly unsure of who the moderate Taliban are. The structure of the Taliban is complex. The organizational structures at the local, provincial, regional, and national levels are not all necessarily tied together in a unified hierarchy and the political leaders (Quetta Shura, Haqqani Network, al Qaeda) remain outside of Afghanistan. I support the idea of a dialogue. We should start by reaching out to local Taliban leaders. This is a double edged sword, since reaching out to these figures also potentially exposes us to dealing with criminals and corrupt politicians – in addition to the insurgent leaders. For long-term success, however, I think we need a process that starts at the local level – that builds from the ground up. Maybe this is the way to really identify leaders worth talking to. While talk is a good idea – there are people to avoid. 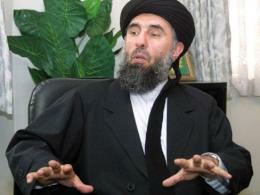 Negotiating with Gulbuddin Hekmatyar* is a bad idea. He is a power-hungry, untrustworthy warlord bent on self-serving political aims, and he is highly unpopular throughout Afghanistan. Another disaffected group already feeling marginalized by the Karzai regime are the warlords in the north (the so called Northern Alliance). This group could cause major problems if concessions to the Taliban end up affecting their control, in areas populated by ethnic Tajiks and Uzbeks. It is believed 60% of the Afghan National Army is Tajik, many of whom are still loyal to warlord General Fahim. Reports of militias beginning to re-arm in the north recently surfaced, when rumors circulated that Karzai had offered concessions to Mullah Omar. Campbell: As you have previously indicated, the immediate problem is not overt military dominance, but the ability to hold ground, at village level. In mid 2009, are you optimistic the US/ISAF forces can gain and hold ground sufficient to induce the Taliban to participate in a political solution, and what events could conceivably convince the Taliban to take that route ? Johnson: Unless the US and NATO have a radical change in strategy and operations I am not at all confident that that the US/ISAF forces can gain and hold ground sufficient to induce the Taliban to participate in a political solution. The US/ISAF continue to fight and administer this war from the provincial level, just as the Soviets did. However, these provincial boundaries are basically artificial administrative constructs which correspond to no meaningful political reality on the ground. Provincial boundaries in Afghanistan are meaningless, with no correlation to any local identities or power structures. Pashtun identity– and thus the critical level of engagement –is rooted at a level of social organization further down, in the woleswali (approximately, the district level) and the alaqadari (sub-district level). Few Pashtuns outside of the handful of educated urban elites with whom we interact almost exclusively have any sense of identity beyond this level, which is almost entirely clan-based. A Pashtun would never identify himself by his province — the primary political level at which we attempting to impose administration and governance. Rural Pashtuns thus have no perceivable political equity beyond a pursuit of patronage (asking for things without any sense of participatory ownership) in this essential component of the counterinsurgency strategy. The second problem – associated with the first – is that instead of “clear, hold and build,” what the U.S. is doing can be characterized as: “clear, return to Forward Operating Bases, clear, return to FOB, clear, return to FOB.” The US/NATO for the most part are not operating at the village level. We can’t hold land in areas were we are not present. And except for a few day light hours we are seldom in the villages and we surely are not living there. Campbell: At best – given the regional and tribal issues involved – any lasting Afghan solution would seem to ultimately require a de-centralised, loosely federal system of governance in future. To that end, do you think it possible to separate Taliban interests and grievances from Pashtun interests and grievances, and if so, how ? Johnson: I think you can separate some interests and grievances but not the most important ones. Please see my International Security article). This is a very complicated question with no simple answer. Campbell: Why would it be in Iran’s self interest to assist in a political resolution of the Afghan conflict, and what useful role could Iran play in assisting that outcome ? Johnson: I think it would be in Iran’s self interest to find a political resolution. The Taliban and Iran have traditionally been great antagonists. 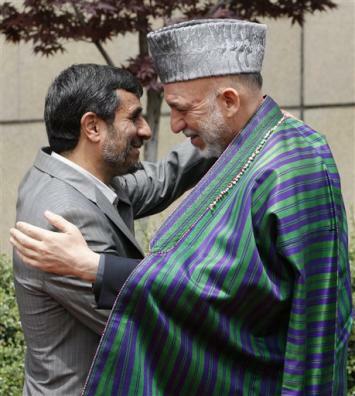 Iran wants to be considered a regional power, and hence they feel a need to be involved in Afghanistan. The most useful role for Iran is in development aid and reconstruction projects – especially in the west of the country. Afghanistan ideally could be an area where we could witness a thawing of US-Iranian conflict with both countries working pro-actively and together to find a solution to Afghanistan’s ills. Campbell: Might not the Hazara in Bamiyan have reason to feel they are better off under the current military stalemate than they would be in some future political framework that strengthened Pashtun/Kuchi* influence ? With that said, the only circumstance that would be untenable for the Hazaras would be a return of the Taliban. The Taliban, of course, despise the Shia [Hazara] and while in power, conducted considerable genocide against them. 1. In addition to the qualifications listed in the text, Professor Johnson is also a member of the U.S. delegation to the NATO WMD Warning and Reporting Panel, and serves as co-chairman of the NATO sub-panel of NBC Communication and Information System Interoperability and Integration. 2. 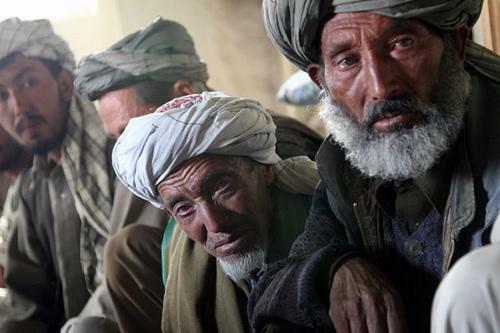 The Hazara are Shia Muslims.They number four million nationwide, and are the majority ethnic population in Bamiyan. There has been tension for centuries between the Hazara and the Kuchi, who are Pashtun nomads who benefitted from the persecution and displacement of the Hazara by the largely Pashtun forces of the Taliban, who are Sunni. A Hazara called Karim Khalili, is one of two running mates for Prime Minister Mohammed Karzai in the August 20 general election. 3. Gulbuddin Hekmatyr is a ferocious renegade warlord, a 1980s mujahedin leader and a former Afghan Prime Minister, He heads one of several “Taliban” factions. 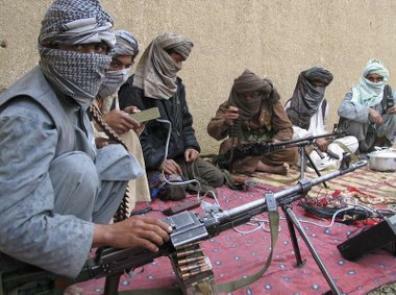 the Quetta Shura: a group of Taliban leaders based in Quetta, Pakistan alleged to supervise much of the Taliban activity in northwest Pakistan and Afghanistan. The Quetta Shura provides the Taliban’s intellectual and ideological foundation, and serves as a channel for money from foreign donors. 4. The mooted policy of negotiating with “moderates’ among the Taliban in order to forge a possible political solution has been modelled on similar policies in Iraq, where the so called “Awakening Councils” provided a mechanism for wooing tribal leaders among the Sunni insurgency to fight against the foreign fighters of Al Qaeda . As Johnson has explained to the Council fo Foreign Relations, there are no equivalent “tribal council’ structures in the much more fragmented Afghan situation – where some 350 tribes are aggregated within five ‘super tribe’ affiliations. The Awakening Council model – which has already been a failure this year in Pakistan’s Swat Valley – seems doomed to fail in Afghanistan as well, for some of the reasons that Professor Johnson outlined in the text above.